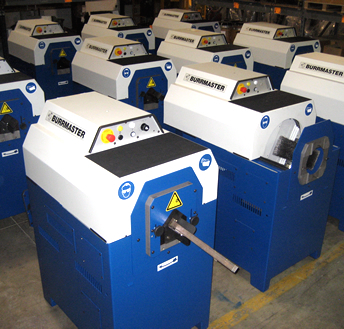 The “Burrmaster” is a range of wire brush deburring machines designed to remove the burr from the ends of metal tubes, bars, sections and profiles following the sawing operation utilising wire brushes. BM Model 1 Easy adjustment. 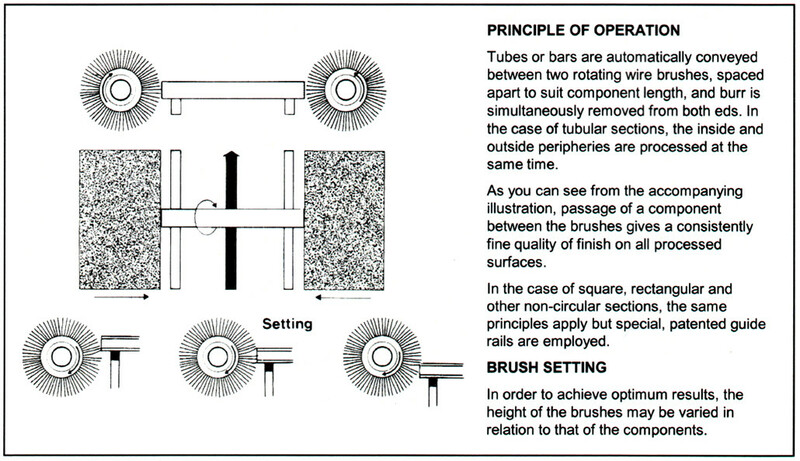 We will visit you on-site to discuss processes and recommend the best brush machine for a particular operation and type of brush for each individual products. For further information, please contact us to discuss your requirements.